The Derby, which stands at the southeast corner of Parliament and King, makes a handsome terminus for the King Street view from the west. Originally the site of the Derby Tavern (previously known as William Wright’s Inn), the Derby building pays homage to Toronto’s culture. The project, initiated by Ron Thom’s Toronto office, was brought to a successful conclusion by Sweeny&Co. As a result, twenty-six innovative lofts were designed and built long before the term “lofts” was a buzzword in the residential market. 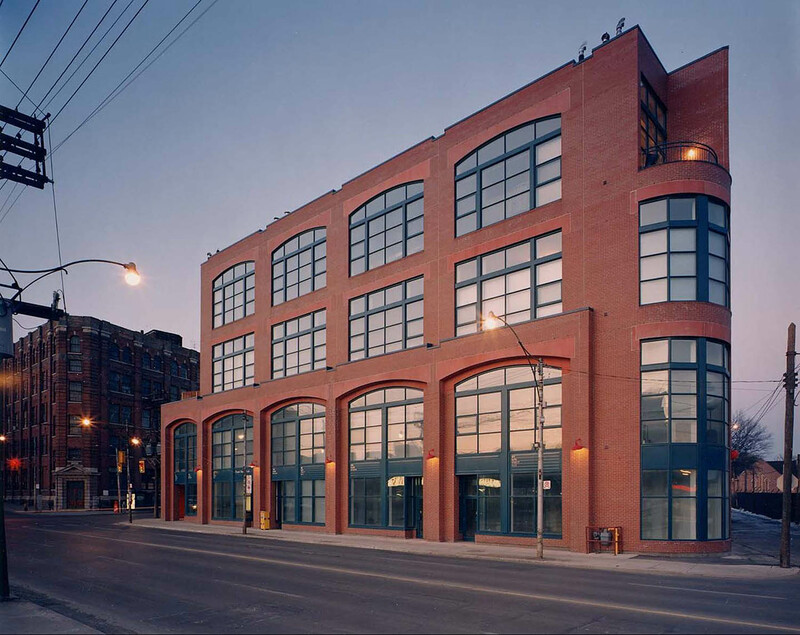 The commercial space at street level fits in well in this zone of formerly clandestine lofts and industrial buildings. The Derby Building was the first re-zoning of Industrial lands to Residential, which was later used by Barbara Hall in the promotion of the “Kings by-law”. Derby was constructed for less cost than the majority of its competitors and yet offered its occupants a unique, higher quality solution. It is the first two-storey open loft style condominium project in Toronto.